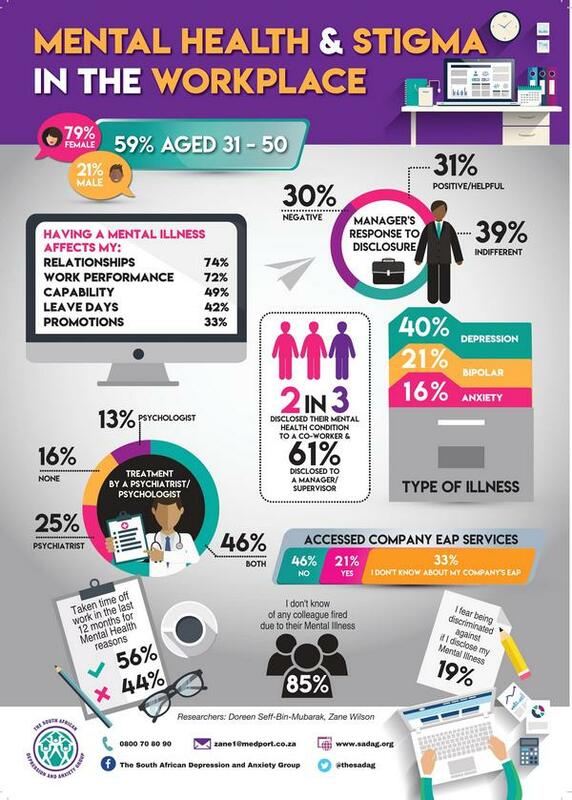 A recent survey by the SA Depression and Anxiety Group (Sadag) looking into stigma in the workplace and, based on 500 respondents, showed that 61% of workers had disclosed their mental illness to their manager and that 69% of respondents experienced negative or no response when they had discussed it with them. This past week, the 6th annual Disability Conference held in Joburg by equity solutions company Progression, also turned its focus on mental disability in the workplace and what employees should be aware of. The one-day conference aimed to raise awareness and create a dialogue that fostered learning and acceptance around all forms of disabilities. “A lot of people don't know that mental disability is covered in the Employment Equity Act. Most people limit their definition of a disability to physical constraints, while illnesses like depression, anxiety, bipolar and attention-deficit disorder are also capable of restricting a person's prospect of entry into or advancement in employment, and are thus considered as a disability,” Progression's Justene Smith said. She added that people with mental disabilities tended to be overlooked when it came to training and promotions at work, and this hindered the progress of these individuals. Tarryn Mason, the company's managing director, said mental disability and its impact had to be looked at from a contextual perspective. 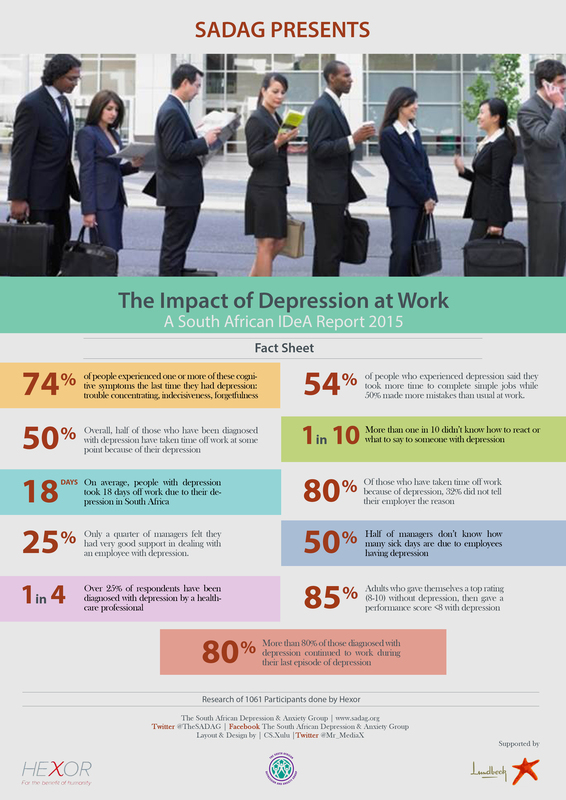 Clinical psychologist Tyrone Edgar said there are no quick-fix solutions for mental illnesses and employers need to be cognisant of this. The recovery period varies for each individual. “Anyone can experience or be diagnosed with a mental illness at some stage of their life, and people react differently to both the illness and medication. On average, it takes a minimum 20 weeks of consistent, quality treatment for a person to make a recovery,” he said. Do You Want To Check Your Mental Health? If you think you may have Depression take this Self rating questionnaire and discuss the Findings with your Mental Health expert. Click here. If you think you have Bipolar Disorder take this self rating questionnaire and discuss the findings with your mental health expert. Click here. If you think you may have PTSD take this Self rating questionnaire and discuss the Findings with your Mental Health expert. Click here.